A nice day on the water today, calm seas, a big ebb tide and two tyees to report! 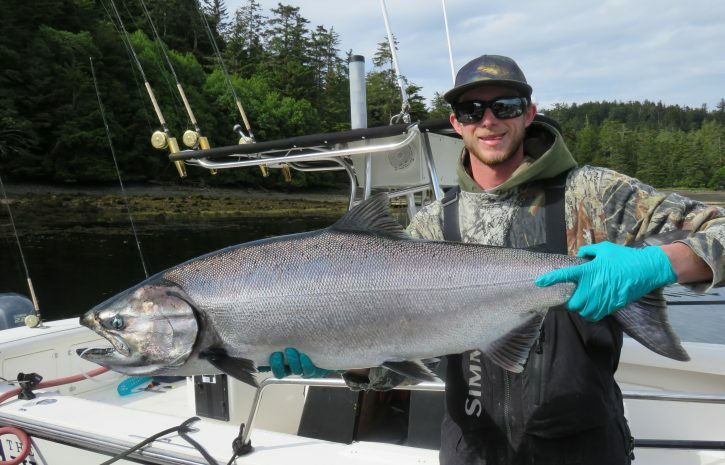 Brent Horn released his largest chinook ever, a 31 lb fish on Boat 6, Korey finding him a 22 lb chinook for the table. So nice to see a release like this, well done Brent. 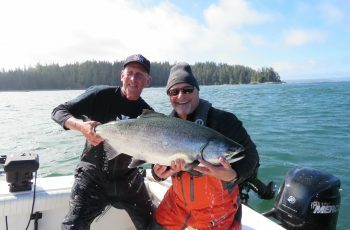 Steve Passy found a 30 at the reef on boat 10, sitting all day patiently waiting with Kui, fighting kelp, rockweed, eel grass, and other boats. Nice tyee guys. 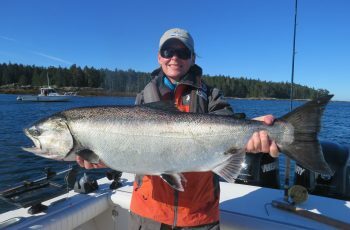 Fishing is tough for chinooks above the twenty lb class, fish deep at Cohoe point you can scrape up teeners. Guinia has a few on the tack, some in close, others in a 100 feet of water. Lacy is now dead, one fish for the trip. The pass has life and a few monsters have been angled, including a 57 lb specimen yesterday evening on the ebb. If you have the patience, the will, the commitment, yes, the Pass is producing, try 30 to 40 feet off the rigger or 12 to 18 pulls. 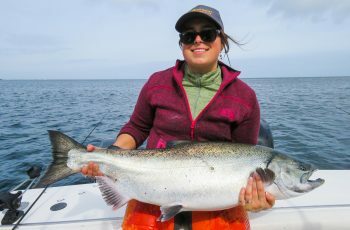 Coho fishing is okay, average fish is 6 lbs, odd lunker at 8 lbs…growing a lb a week. Bait is everywhere, for two weeks, needlefish at all locations, ducks….those little black ducks are a big hint where to fish. 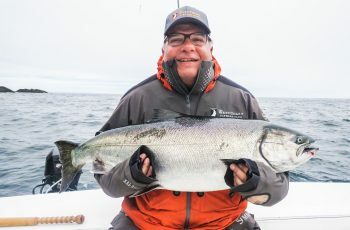 Unfortunately the sea lions continue to gobble more than a few chinook off our lines, slightly better in the pass, but they have it figured out this year. Big blondie is actually 12 different lions, and they love the game of cat and mouse. Whale viewing is epic, Humpbacks everywhere, on the west side actively bubble feeding, quite a sight. A trip up to the sea lion colony will provide a glimpse of 500 rock dogs, quite a picture and worth the trip. Eagle viewing spectacular, grabbing pinks off the surface and limping in to shore for a nice meal. Wildlife is providing some good viewing and pictures this year. 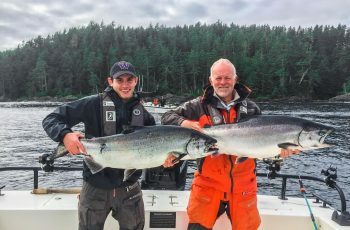 Halibut continue to bite in all sizes, from chickens to oversize lunkers. Calm seas is your ticket, with strong tides though, anchoring is tricky, have to pick your spots. All in all a fantastic hali season once again.